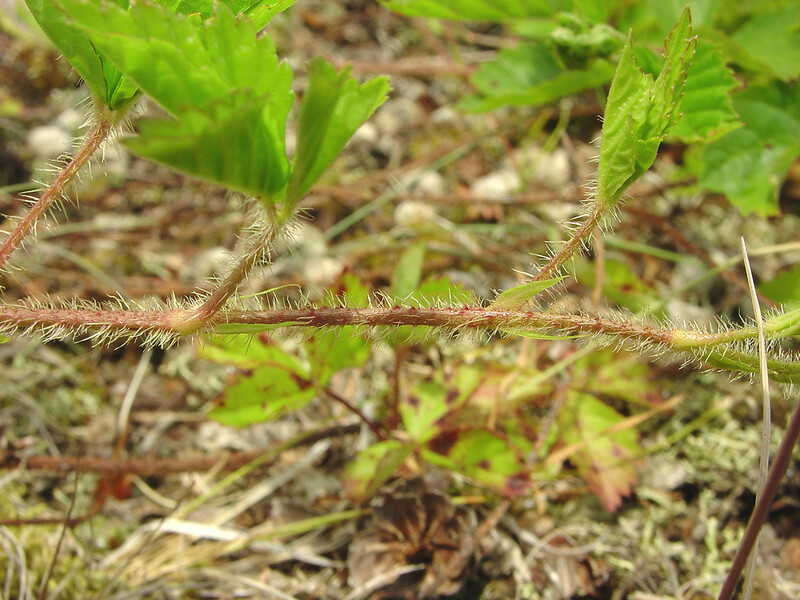 Rubus hispidus. Copyright © 2014 Glen Mittelhauser.New England Wild Flower Society.gobotany.newenglandwild.org (Accessed 7/2014). Rubus hispidus is a slender, prostrate, barely woody vine; colonial, rooting at tips; roots associated with vesicular-arbuscular endomycorrhizal fungi (Berliner and Torrey 1989) hairy and weak small prickles, not thorny, stems biennial, the first year growing vegetatively and rooting at tips (primocanes), the second year developing erect lateral branches that produce inflorescences (floricanes) (Abrahamson 1975). 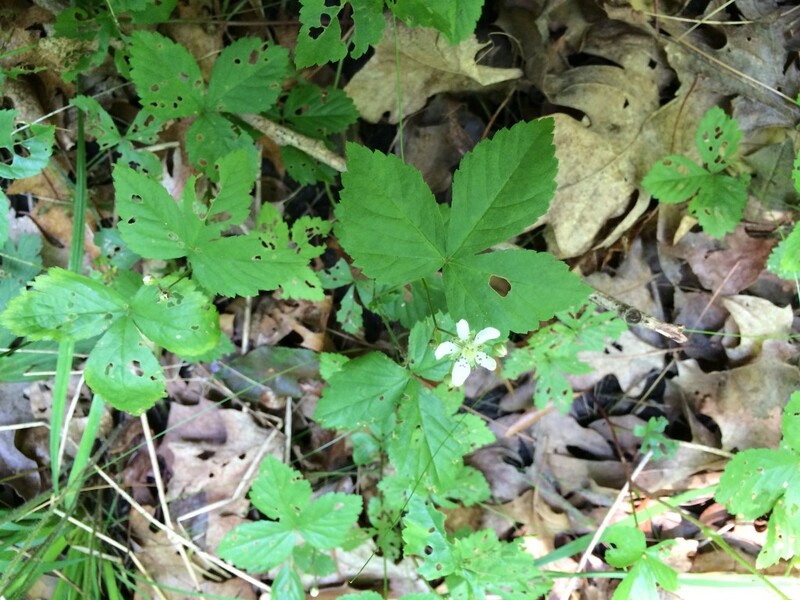 Leaves alternate, 3-5 parted, margins coarsely toothed. Flowers white, inflorescence a raceme; blooms June. Fruit black, a multiple fruit like that of all black berries sour; fruit matures Aug. Dispersal to and establishment in new sites in successional forest, contiguous to old regrowth stands has been calculated at a rate of 2.31 m/yr (Matlack 1994). Habitat:Ground cover in swamp and moist forests and moist regenerating woodlands and shrublands, semi-evergreen, quite shade tolerant but does not flower or fruit well.